My grandfather taught me a lot about caring for chickens when I was a little boy. When I would help him gather the eggs in the chicken coop he told me to be very quiet and move carefully. One time I wasn't careful. All I saw were wings and feathers. I ducked for cover behind a chicken feed trough. Also, Grandpa taught me that when you carry a heavy bucket of water or a large basket of eggs in one arm it is best that you put your other arm straight out to balance. I remember being amazed at his strength. He said that putting his arm out helped make him stronger. Now every time I carry something heavy in one arm and my arm is out straight I think of my grandpa working hard on the farm. Another thing my grandpa taught me was that baby chicks can be sent in the mail! My grandpa loves to tell the story about how happy the postal worker was when he picked up his shipment of chicks at the post office. That must have been the noisiest package. I can still remember walking into a chicken coop full of new baby chicks -- CHEEP, CHEEP, CHEEP.....Who knew such little things could be so noisy? 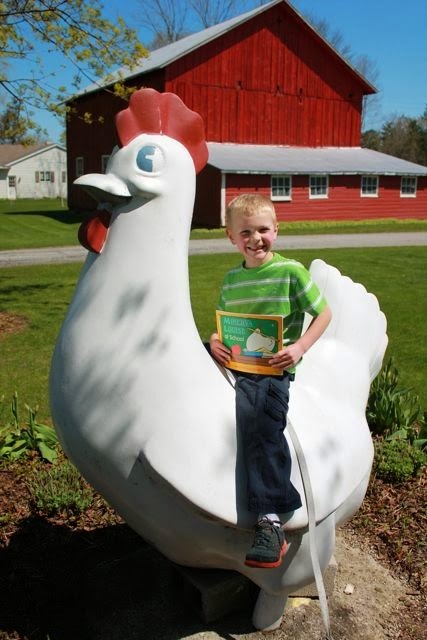 I have some great childhood memories of chickens on my grandparent's farm. 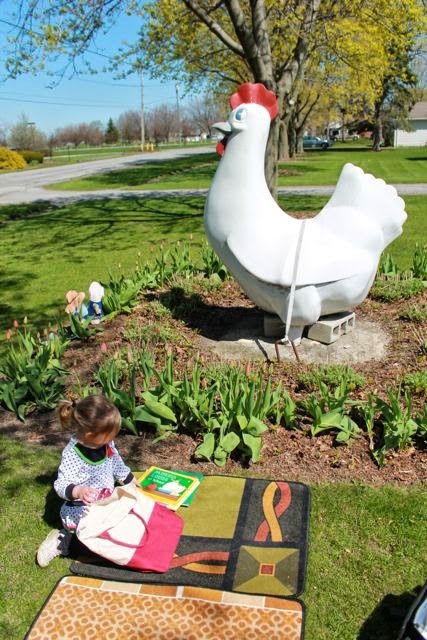 I would like to think all that I learned from my grandfather and all my experiences with chickens qualify me to know a good chicken picture book when I see one. 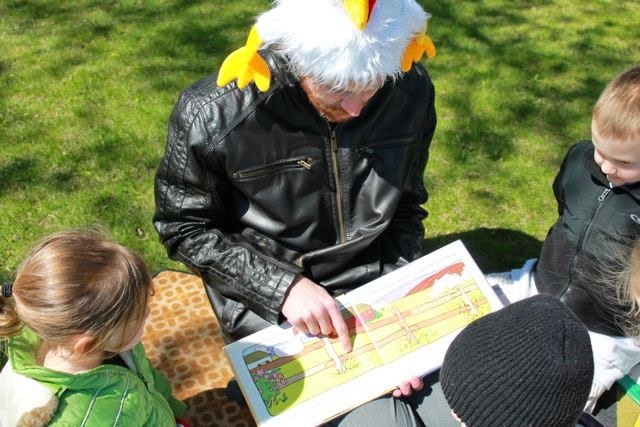 This week, our family found some of the best books about chickens that we have ever read together! 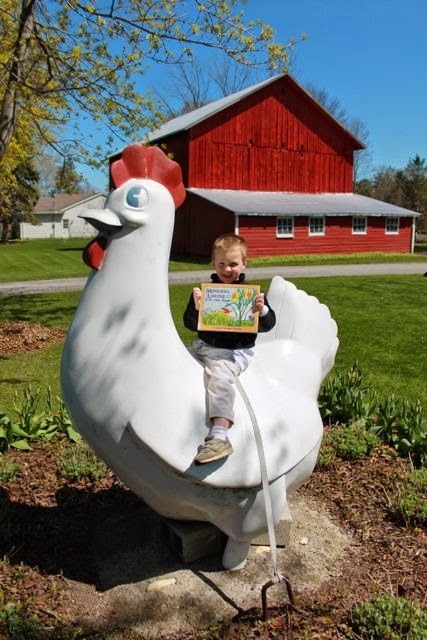 Janet Morgan Stoeke is the author and illustrator of many picture books about chickens including Minerva Louise and The Loopy Coop Hens. Her path to becoming a picture book creator is unique. She was working as an ad designer at Washingtonian Magazine when her boss informed her that Dutton Children's Books was having a picture book writing contest. The contest deadline was only 10 days away, but she started working on a story that would later become Minerva Louise. "Minerva Louise, her blithe, funny hen was born in the wee hours as she juggled graduate school and full time work at a magazine. Just barely making the deadline for the contest, her submission beat out all the others and won her a publishing contract." (Janetstoeke.com). After becoming pregnant with twin boys, Janet left her job at the magazine. She decided it was best to be at home to care for her family and work on her children's books. "There was a real drive to do it. I not only loved being a mom to my kids, I loved doing the work. When I explain it to kids I say, 'My job is the kind of job where you lose track of the fact that time is going by and that you're actually working. And if you can find a job that's like that for you, go get it." (Colgate). And "Go Get It" she did! You can find Minerva Louise in eight picture books, two board books, and a sticker book. Now Janet spends her time writing and drawing books about the Loopy Coop Hens who are equally as entertaining as Minerva Louise! 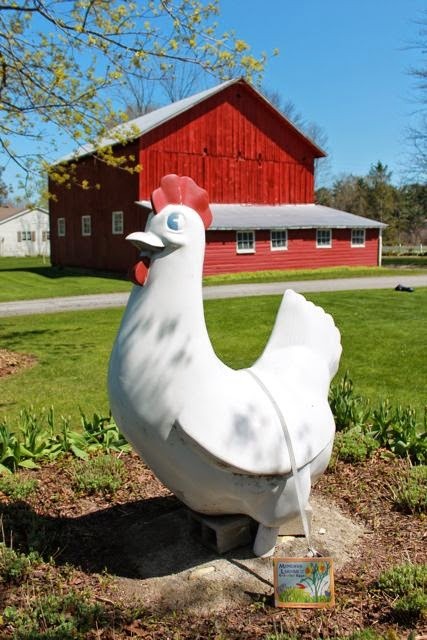 This giant chicken looks just like Minerva Louise. My youngest daughter readied all our Minerva Louise books to read. I had a hat that looked just like Minerva Louise, too. My wife, a teacher, wore it at her school for Halloween a few years ago. I wore it while I read the books to my youngest two children and three of their cousins. 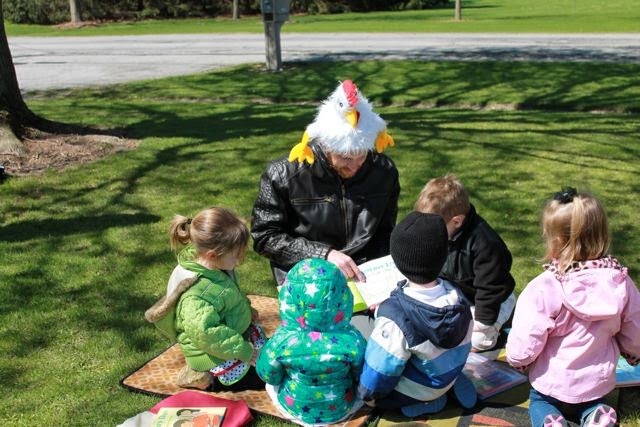 They wanted me to read Minerva Louise and the Colorful Eggs first. 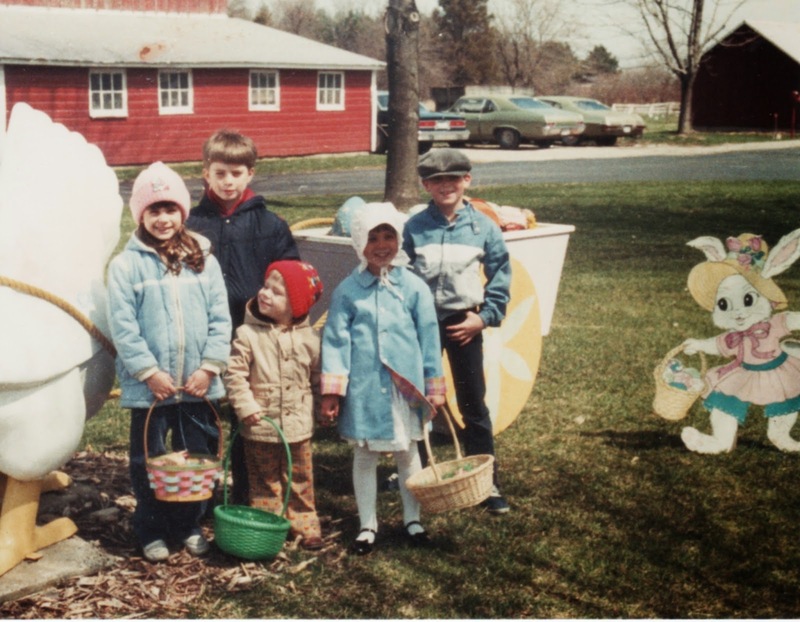 They chose this because every year we have a huge egg hunt on Easter at the farm. A close-up of my chicken hat! They all loved the books. They thought Minerva Louise was "really silly". My youngest holding her favorite Minerva Louise book; A Hat for Minerva Louise. 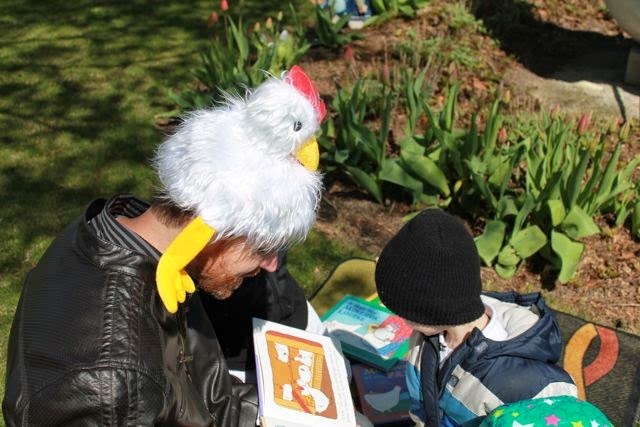 My son hold his favorite book, Minerva Louise and the Colorful Eggs. 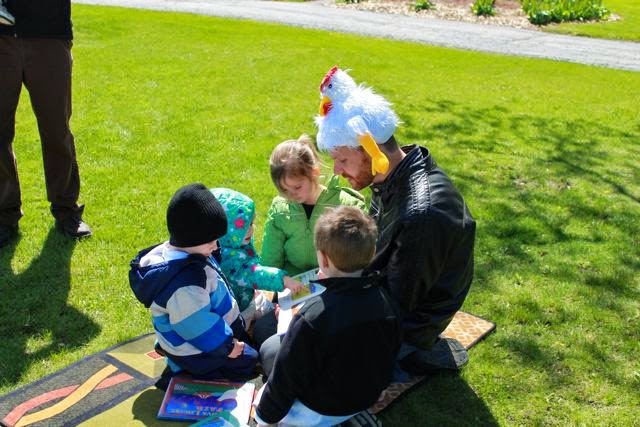 My oldest son didn't join us for Minerva Louise story time, but he was very proud that he was able to read Minerva Louise at School all by himself. 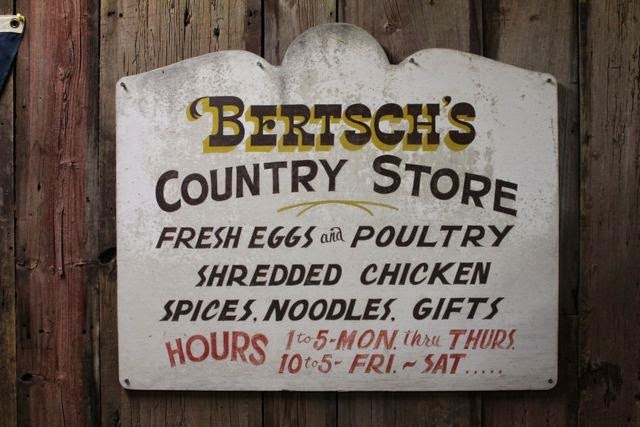 My grandparent's sold the eggs from their chickens in a country store. When I was little I didn't come for the eggs. I came for the candy that was also sold at the store. I loved bringing my own money to buy some every time I visited Grandma and Grandpa. After I bought something, my sister and I always seemed to find more money on the floor by the cash register that Grandpa and Grandma dropped. 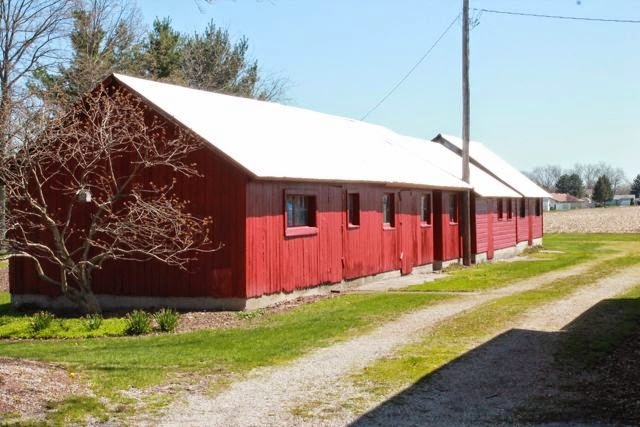 These are some of the chicken coops. I remember visiting those noisy baby chicks in there. 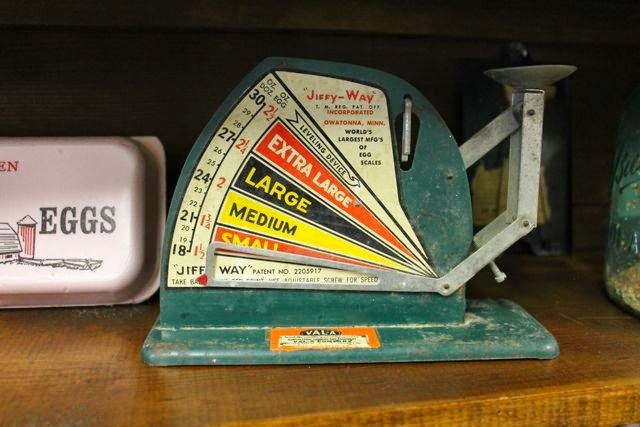 I remember using this tool to measure the size of the eggs when I helped pack the eggs into cartons to sell in the country store. Grandma just celebrated her 88th birthday this week, too! 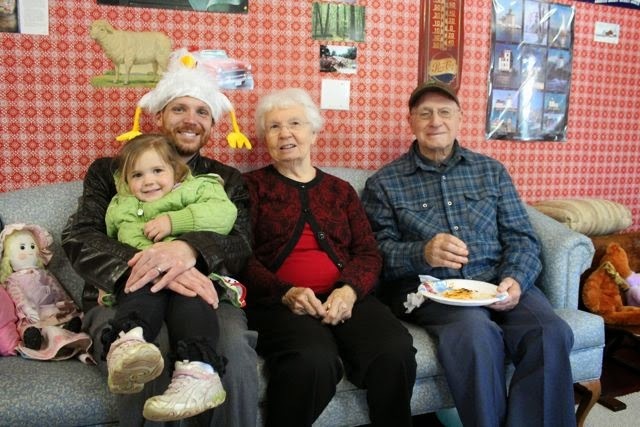 Grandpa turned 91 in February! It is such a blessing to spend time with them on the farm. They don't have a computer, or access to the internet, but we will be sure to print this out for them so they can see how much being part of their farm meant to me as a child. I found this picture from 1985. 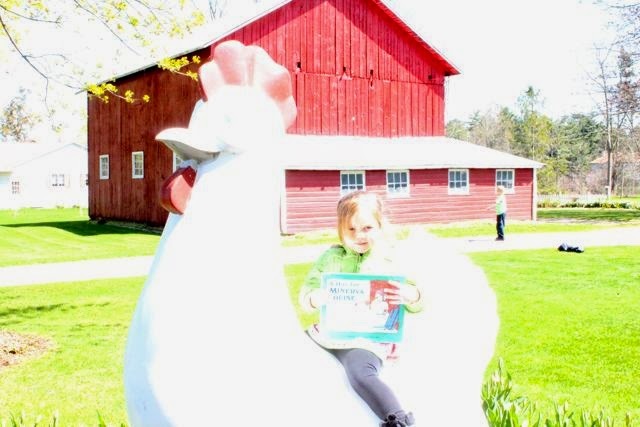 The giant Minerva Louise-look-alike chicken was there. I am the kid with cool grey hat! The chicken still has its feet back then. If you notice in the first picture above, it no longer has its feet. The chicken was stolen, but luckily it was later found. If I remember correctly high school pranksters were to blame. 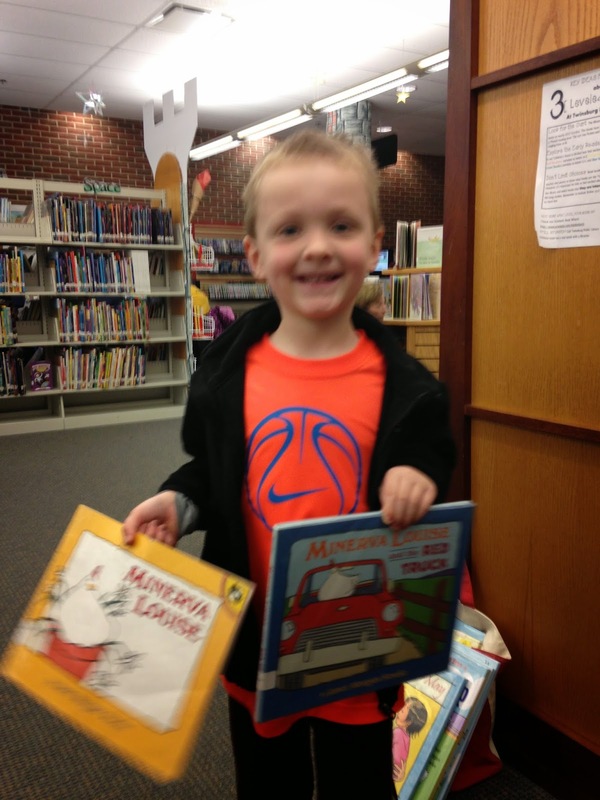 One last photo from this week -- my son loved the Minerva Louise books so much that we went to a second library on Monday to the find ones we hadn't read!